All the needed dependencies for setting up your Mac, Linux, or Windows machine for these tutorials. This is the Python shell. To close out, press CTRL+D, or type exit(). Python.org has a good Python on the Mac page if the above does not work for you. You will need to install git on your machine through their download page. You can then follow the Save your Progress page to set it up. For Mac OS X 10.9 and higher (Mavericks and later): Within your terminal, run xcode-select --install. A pop-up will ask you to install command line developer tools. For Mac OS X 10.8 and lower (Mountain Lion and earlier), you will need to download the Command Line Tools from Apple here. A (free) developer’s account is required. Search for your OS version (which can be found by clicking on the Apple in the top left of your menu bar, and selecting “About this Mac”) and select “Command Line Tools for XCode”. pip, stands for “python install python”, is a tool for installing and managing Python packages. Within your Terminal application, use the following commands (ignore the leading $ as that is your terminal prompt) for downloading & installing. It may prompt you for your computer login password. You will need to install git either from commands below or through their download page. You can then follow the Save your Progress page to set it up. A C compiler, either GCC or clang, is needed because the numpy library we are using has some C extensions, which will need to be compiled. sudo yum groupinstall "Developer Tools"
you may need to run sudo apt-get update first. virtualenvwrapper is a great (but not required) tool for using virtualenv by simplifying the commands that virtualenv needs. We’ll use pip again to install it. This step depends on the version of Windows you are running. For Windows 8: To run it, press the Windows key (bottom row on the keyboard, third key from left) to navigate to the Start Screen. Type powershell, right click on the Windows Powershell tile bar and select ‘Run as Administrator’. For Windows 7: To run it, click on the Start menu (the Windows logo in the lower left of the screen), type powershell into the Search field directly above the Start menu button, right click on Powershell in the search results above the Search field, select “Run as Administrator”. For Windows Vista: Go here, click “run” if given the option. Otherwise, save it to your Desktop, then minimize windows to see your desktop, and double click on it to start the installer. Follow the installer instructions to completion. Restart your computer. For Windows XP: Go here, click “run” if given the option. Otherwise, save it to your Desktop, then minimize windows to see your desktop, and double click on it to start the installer. Follow the installer instructions to completion. Restart your computer. Go here and click “run” if given the option. Otherwise, save it to your Desktop, then minimize windows to see your desktop, and double click on it to start the installer. Follow the installer instructions to completion. Windows 8: Press the Windows key (bottom row on the keyboard, third key from left) to navigate to the Start Screen. Type powershell, right click on the Windows Powershell tile bar and select “Run as Administrator”. Windows Vista and Windows 7: Click on the Start menu (the Windows logo in the lower left of the screen), type powershell into the Search field directly above the Start menu button, and right click on “powershell” in the search results above the Search field, and select “Run as Administrator”. Windows XP: Click on the Start menu (the Windows logo in the lower left of the screen), navigate to Programs, then to Accessories, then to Windows PowerShell and right click on “Windows PowerShell” and select “Run as Administrator”. You just started Python! The >>> indicates that you are at a new type of prompt – a Python prompt. The Powershell prompt lets you navigate your computer and run programs, and the Python prompt lets you write and run Python code interactively. To exit the Python prompt, type quit() and press Enter. This will take you back to the Windows command prompt (the C:\> you saw earlier). Get to the Start screen(see above steps), search for Control Panel and select the Control Panel app tile from the results. 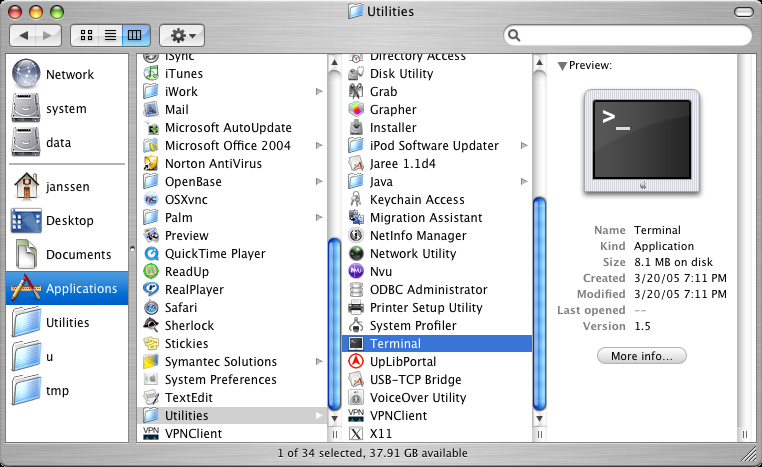 Within Control Panel, search (upper right corner) for and open System. In the dialog box, select “Advanced Settings”. In the next dialog box, select “Environment Variables”. Open up “My Computer” by clicking on the Start menu or the Windows logo in the lower-left hand corner, and navigate to “My Computer” (for Windows XP) or “Computer” (For Vista and Windows 7). Right-click on the empty space in the window, and choose “Properties”. If you’re using XP: window labeled “System Properties” will pop up. Click the “Advanced” tab. A window with the title “System Properties” will appear. If you’re not using XP: A window labeled “View basic information about your computer” will appear. In this window, click “Advanced system settings”. A window with the title “System Properties” will appear. In the “Environment Variables” window, the screen is split between “User variables” and “System variables”. Within “System variables", scroll down and find the one labeled “Path”. Click the “Edit…” button. A window with the “Variable name” and the “Variable value” should appear. The “Variable value” should already have some text in it; click in the box to unhighlight it (we don’t want to accidentally delete that text). In the “Variable value” box, scroll to the end. Add the following text, and hit OK. Make sure to include the semicolon at the start! If within “System variables” you do not find “Path”, click on New. It will bring up a dialog box, type in “Path” in the first section, and then in the second section labelled “Variable value”, type in the following text and hit “OK”. Hit “OK” to close out the system properties window. Open up a new Powershell prompt: you do this the same way you did above when installing python. This needs to be a new Powershell prompt because the changes you just made didn’t take affect in prompts that were already open. Notice that you now get a Python interpreter, indicated by the change to a >>> prompt. Exit the Python prompt by typing quit() and hitting enter. Now you’re back at the Powershell prompt (PS C:\>). Success! You have installed Python! Download git here. This installs git for Windows, as well as MSYS, a Unix-like shell, that also includes a GCC compiler, MinGW. Go back into System Properties and add ;C:\Program Files\Git\bin to the end of PATH in “System Variables” (see above Python Installation instructions). Make sure to click in the box to unhighlight before adding this new text. Open up a new Powershell prompt: you do this the same way you did above when installing python. This needs to be a new Powershell prompt because the changes you just made didn‘t take affect in prompts that were already open. Type git --version into the Powershell prompt. Notice that you now get some information about the version of Git you have installed. Within your reopened PowerShell prompt, Set-ExecutionPolicy RemoteSigned type and hit enter. When you see the Execution Policy Change prompt, type in Y and hit enter. git is ready to go! Right click within the webpage, select “Save As” to your Desktop folder. Then type in ez_setup as the filename, make sure it’s saved as a .py file, and click “Save”. Right click within the webpage, select “Save As” and save to the Desktop folder or else Then type in get_pip as the filename, ensure it’s being saved as a .py file and click “Save”. You should see some result that reads something similar to Directory: C:\Users. Success! You have installed Virtualenvwrapper! Here’s a run-down of useful commands for pip, virtualenv & virtualenvwrapper. You’re good to go with your setup! Go start on dataviz!